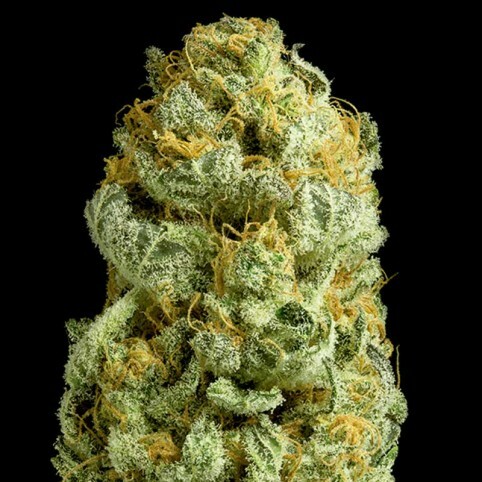 Critical Cheese cannabis seeds by Dinafem Seeds is a feminized, Indica-dominant cannabis strain that originates from the cross of a Cheese and a Critical +. It is the merger of two of our strains renowned for their amazing flavour and aroma. Critical Cheese is part of the foundations of our building and even cannabis connoisseurs are mesmerized by this premium-quality strain. It is a high-yielding, easy-to-grow, vigorous marijuana plant that flowers fast and yields hard buds covered in resin. Giving off an extremely strong smell during the last two weeks of flowering, anti-odour filters are required when growing Critical Cheese. It performs well indoors no matter what cultivation method is used, particularly SCROG. However, the control of its size shouldn’t be overlooked. Outdoors, it responds best to temperate/dry climates and to the protective atmosphere of a greenhouse. Critical Cheese has intense flavour and aroma, with hints of lemon, pine, perfume and cheese. The effect is powerful, long-lasting and relaxing, typically Indica.